FULTON, NY – Oswego County Opportunities recently honored a longtime volunteer with the Distinguished Volunteer Award for going above and beyond in offering his time to support the agency’s fundraising efforts. Oswego County Opportunities Executive Director Diane Cooper-Currier presents the OCO Distinguished Volunteer Award to Henry “Hank” Wood. Henry “Hank” Wood, the husband of OCO Administrative Assistant Diane Wood, has helped with the agency’s annual Bowl-A-Fun for many years. 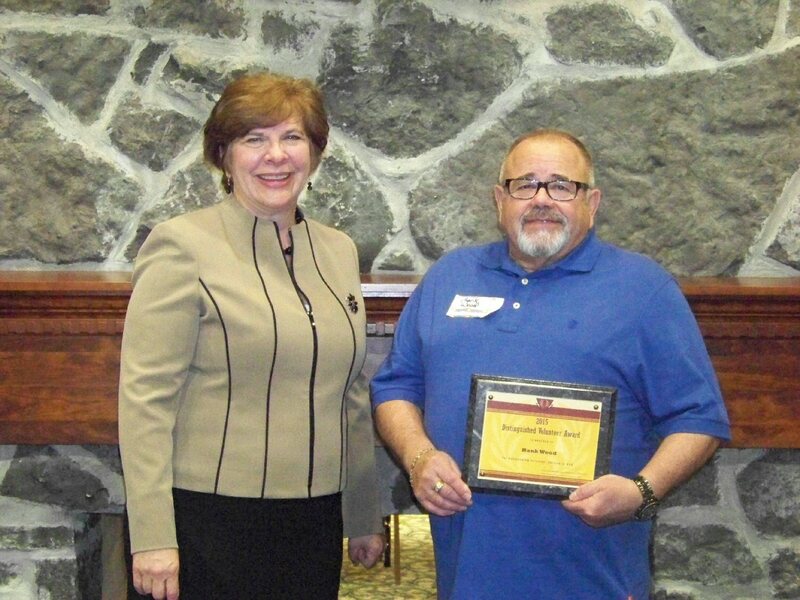 Hank’s award was presented at the 2014 OCO annual meeting on April 22 at Springside at Seneca Hill.